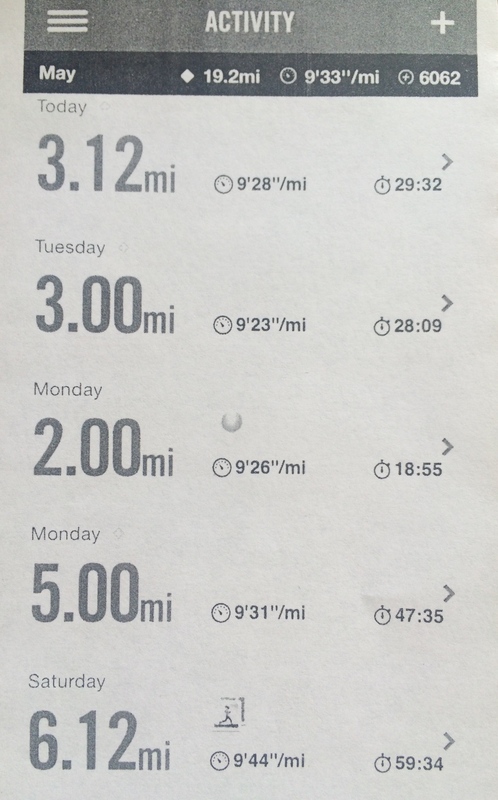 @MathMinds So how many .1 miles is that? Duh, my runs! Thank goodness Joe was up early too! My students know I run every morning and cannot fathom that anyone actually wakes at 4:30 in the morning, so I knew they would love this. To start the class, I posed..
As with most times, I gave them some individual time before consulting with their table mates. It was awesome to see so many of the connections to yesterday’s work and also new representations that did not show up yesterday. 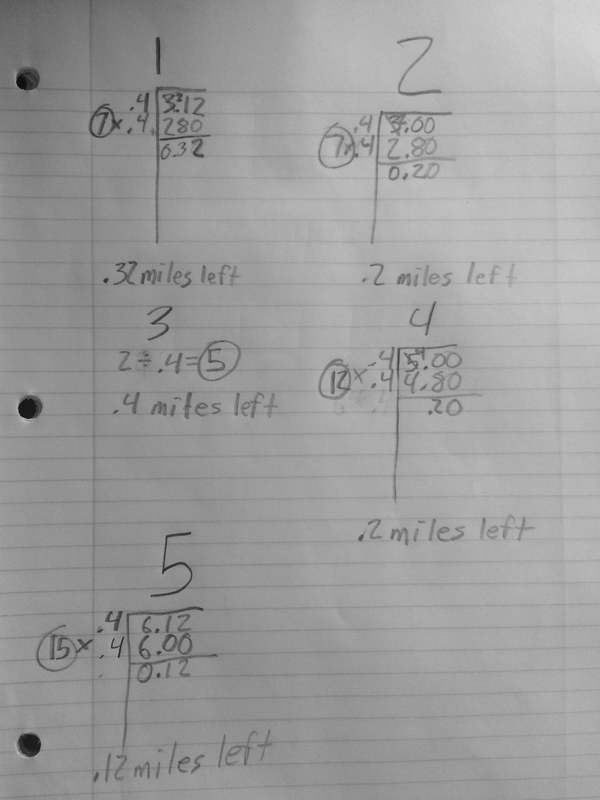 This one was so interesting how he broke up the mile to .4 +.4 +.2 and then combined the .2’s to make 5 four tenths. This number line was so nice and then I loved how he got to the end and then counted the jumps going back down to zero. 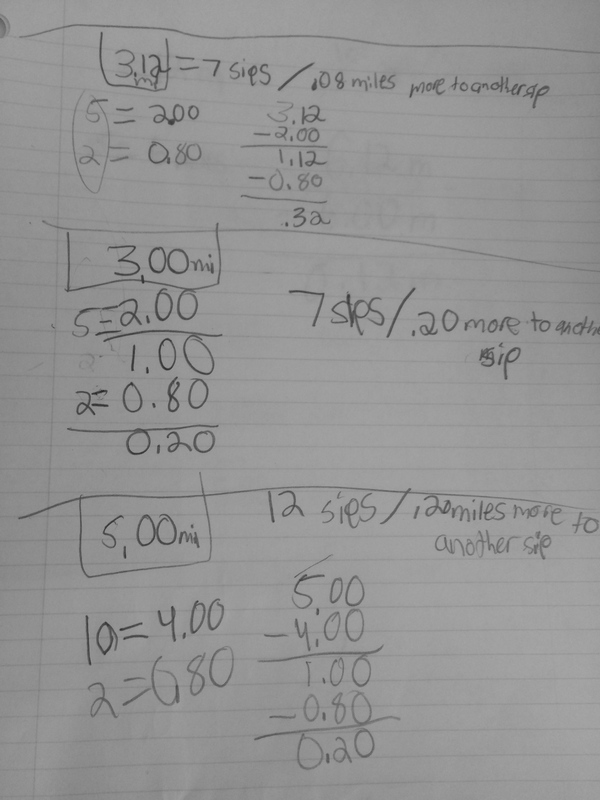 Also, at the top he had multiplied up to the 2 miles, nice way to show two ways of thinking about the problem. There was a lot of skip counting by .4, but this model was especially wonderful. 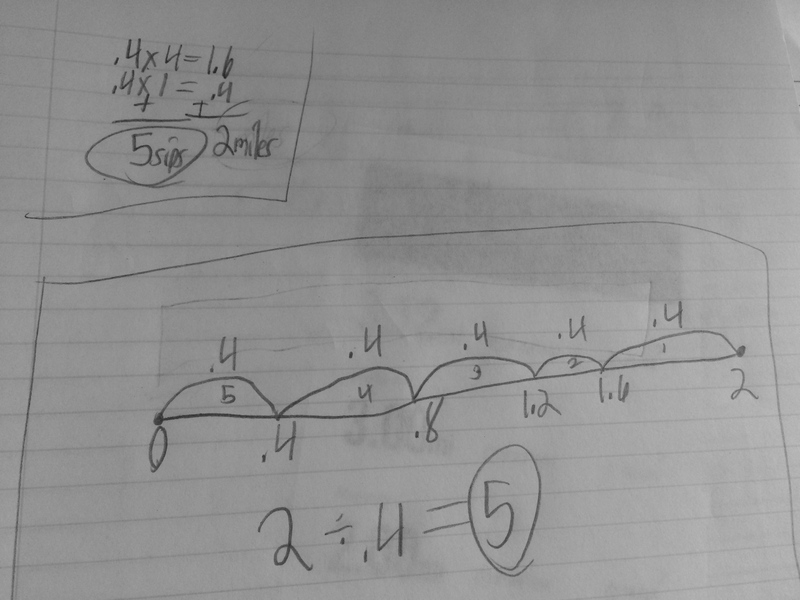 It is an area model combined with a number line. He counted up by .4 in squares that attached until he reached 2. I would expect students to count the number of .4 sections to find the answer, however this one labeled the 1, 2, 3, 4, and 5 at the end of each section. I then gave them a log of my past five runs. I told them to assume that I still take a sip of water every .4 mile. 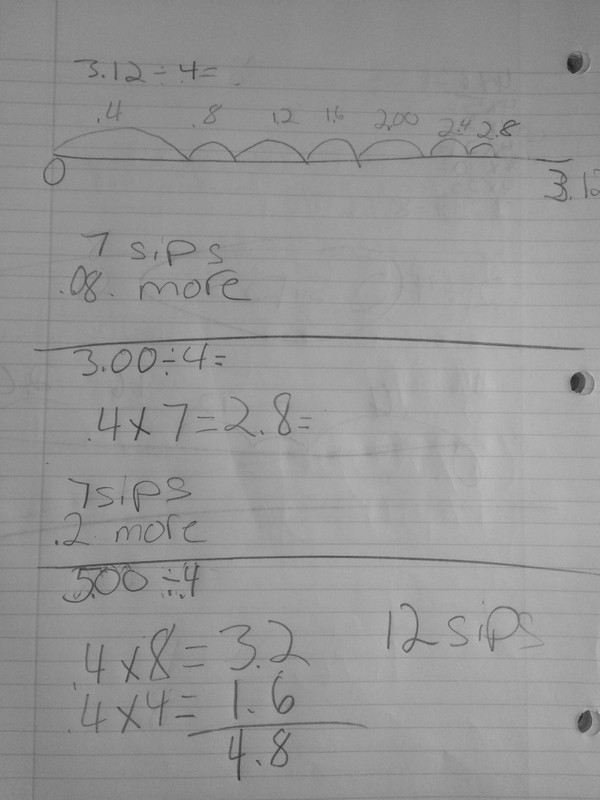 I wanted to know how many sips I took and then how much further I had to go until my next sip. 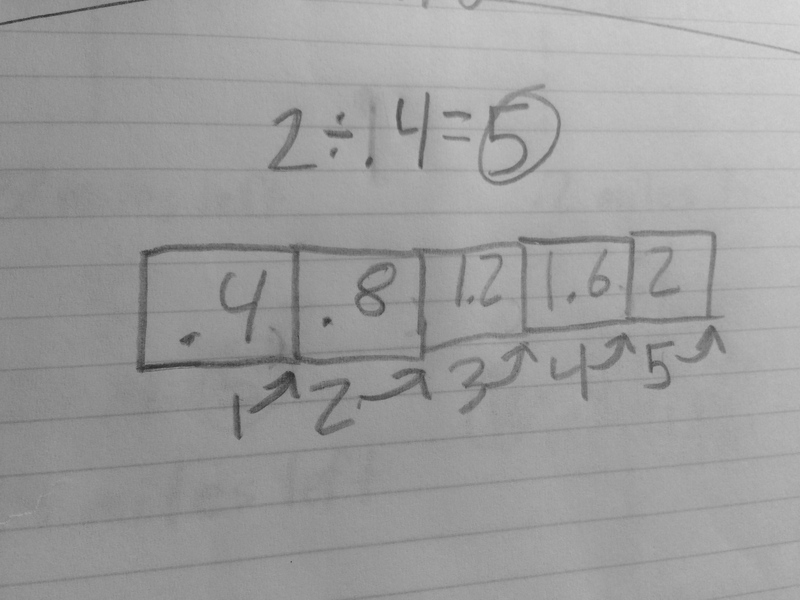 I got some awesome partial quotients, number lines and multiplying up. Now, the conversation of remainders came up. They want to know how to write the answer without the “r.” They wanted to know if they could write that as part of the number that was the answer. 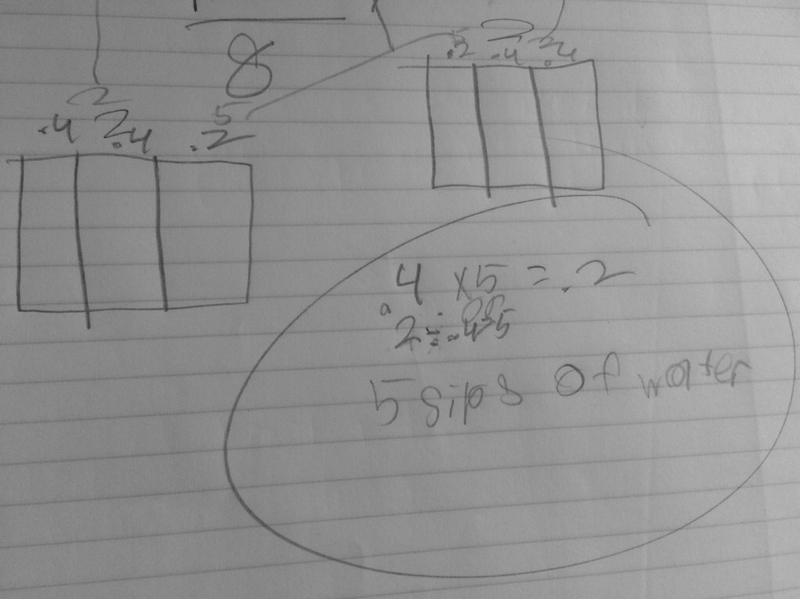 For example, could they write “7 sips r .2 as 7 1/2?” Saving that for tomorrow. And THIS is why I love the #mtbos….my lessons take wonderful twists that make the learning experiences in my classroom so much better for my students! No teacher can do this job alone! 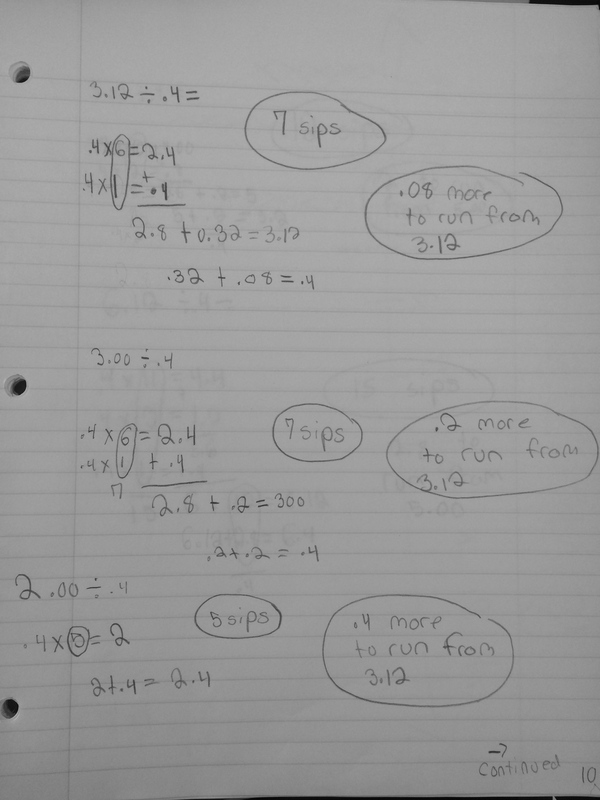 This entry was posted in 5th Grade, Decimal Division and tagged 5th Grade, decimal, division on May 6, 2015 by mathmindsblog.